This week, rising pop heroine (and Exclaim! cover star) Lizzo will release her major label debut Cuz I Love You. Ahead of its arrival, she's shared a star-studded video for her single "Juice." Of course, those in the know will remember Lizzo shared a "Juice" video back in January. 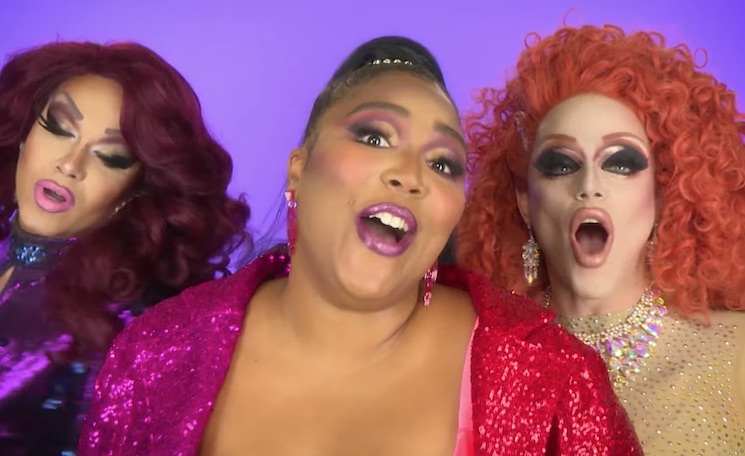 This time around, however, she's recruited the assistance of the RuPaul's Drag Race queens, who lip-sync along with the track. Watch the new video for "Juice" below, read Exclaim! 's cover story here and brace yourselves for Cuz I Love You, which lands on April 19 via Nice Life/Atlantic.